OK, I just made that up, but let’s go with it. This is a wilderness route; essentially your own expedition. Like any expedition it may take multiple attempts to get it right. Treat your expedition with all of the seriousness that it deserves. Be prepared, take notes and give yourself time. I would suggest giving yourself a minimum of four full days of travel if you intend to commit to this route. You could travel the high route in either direction, but I prefer to walk out via Necklace. The gentle grade is friendlier on these old, tired legs. So that’s the way I’m tellin’ ya! The seven mile trip up the West Fork Foss Lakes trail #1064 will give you a run for your money on your first day in, especially with a few days worth of gear strapped to your back. The amount of time you gave yourself for the trip will help determine where you’ll stay for the night. There are four beautiful lakes directly along the trail, and another a stones throw away. Personally, I’d love to stay a night at each lake along the loop, but I have to work for a living…boo! Big Heart is a good first day objective, however that will usually put a party somewhere on Iron Cap Mountain by the end of day two. 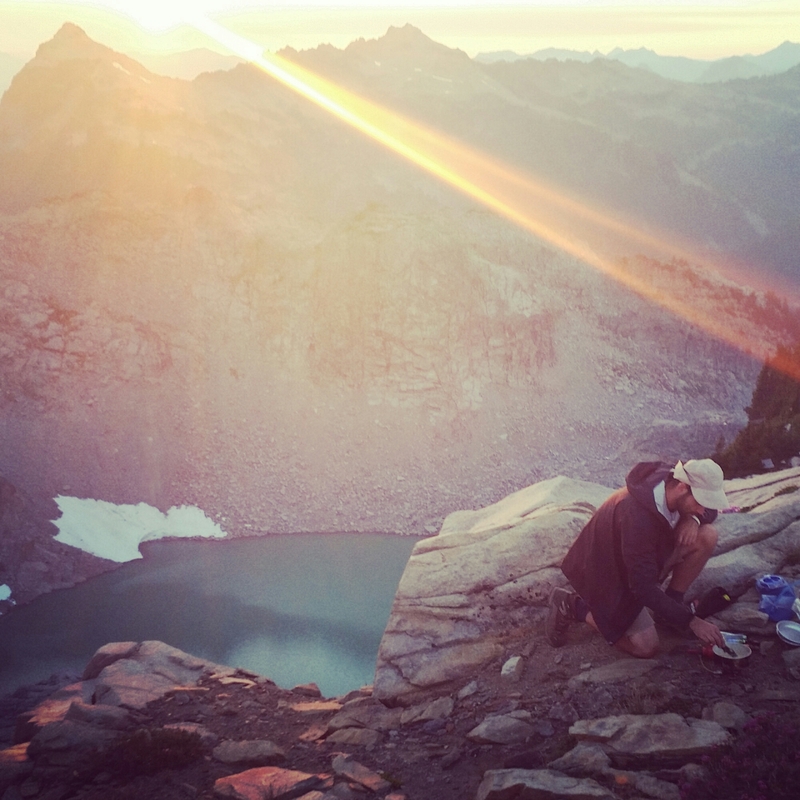 Before undertaking a trip like this, you need backcountry time management skills. Take notes. Know your pace! 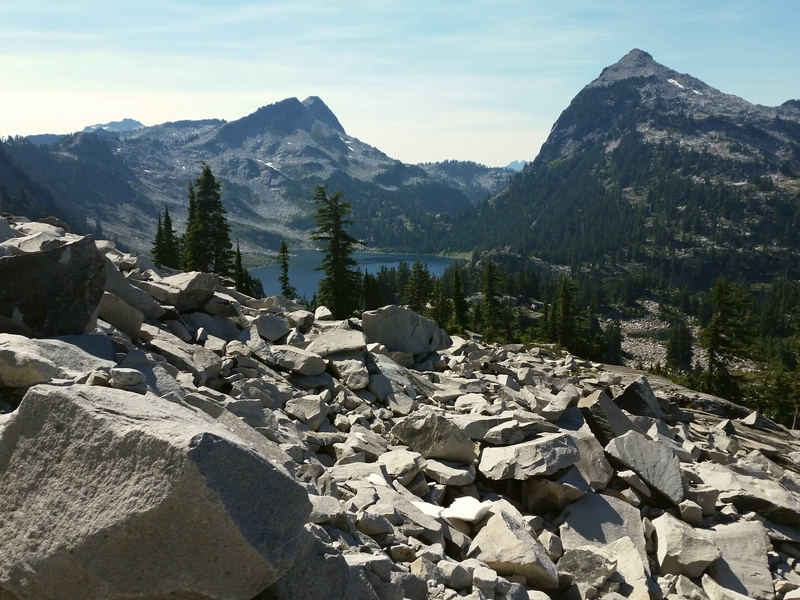 On the east side of Big Heart’s outlet stream, a network of boot paths begin the climb up the narrow ridge between Big Heart Lake and Angeline lake. The correct path will take you up the ridge a ways before dropping relatively steeply over the east side. Things become more rugged here and scrambling may be necessary. If you’re on the right route you’ll eventually pass just beneath the 5359′ high point of the ridge. You might as well stop there, since you’re there anyway. Ever catch yourself taking the same picture every time you walk by? Descending the south end of the ridge will likely require a scramble or two but if it gets too ridiculous you’re going the wrong way. 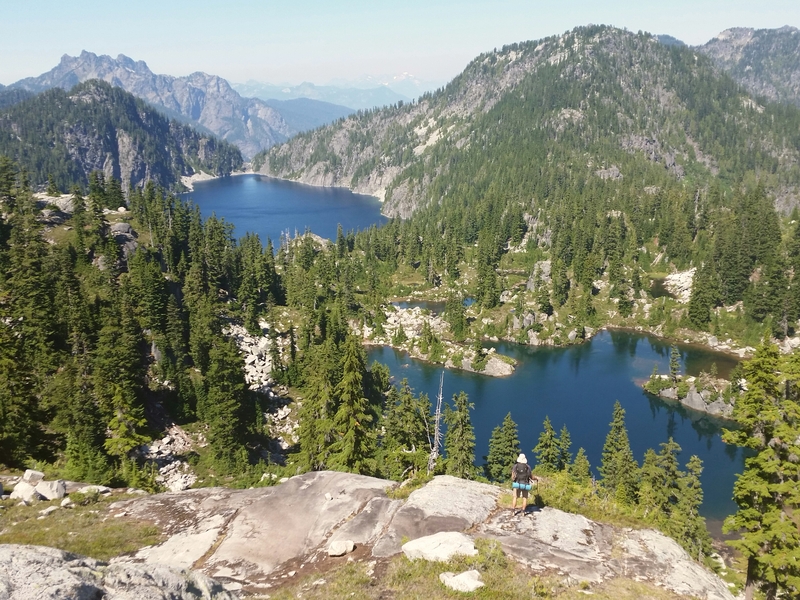 At about the lowest point on the ridge, before you start climbing up the 5482′ lump between you and Chetwoot Lake, a fisherman’s trail descends to Lake Angeline if you wanna visit. Otherwise, continue to climb, watching for cairns as you head up through heather and rock towards a small gap southward. Then slide on your shades like Joe Camel and continue south easterly toward Chetwoot Lake. Don’t look back! Fill up your water at Chetwoot instead. That’ll show ol’ Lakey. Lookin’ back at the ‘Woot! 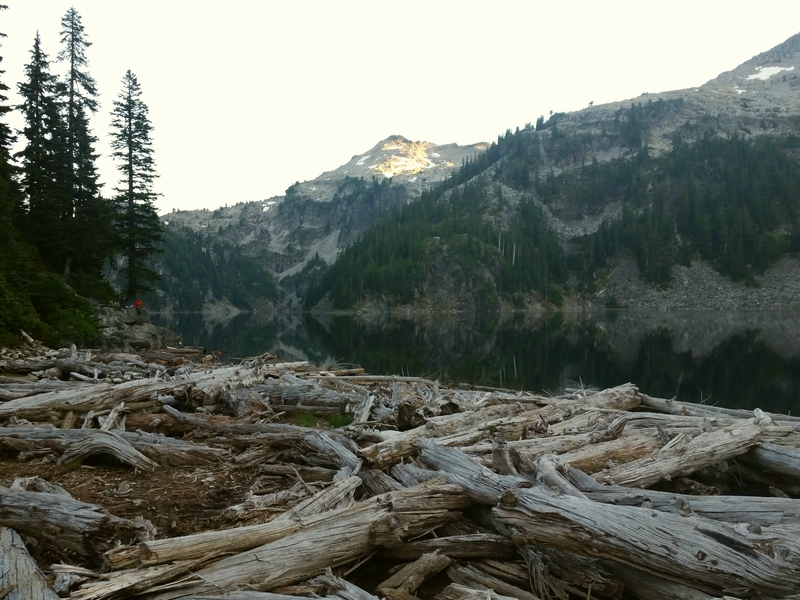 Chetwoot Lake is a good place to take a load off and plan your next move. You’ve got some rough gains ahead. Iron Cap Mountain is the next objective. Leave Chetwoot Lake in a north easterly direction, perhaps you’ll even find semblances of a boot path. Azure Lake will come into view below you to the north, so too will an unusually flat topped section of ridge to the east, make your way to it. From this shelf, funnel into the narrow gap leading into the cirque holding Iron Cap Lake. Entering the cirque has a distinct wizardly feel, the walls loom and lurk, studying you as you pass. Soon strange, green water will come into view. Well maybe not immortality, but hell, couldn’t hurt… right? After you’ve nicked a drink from the gods, you’ll probably wanna get moving before they get back. Now you’ve got a choice to make; some attempt the rocky gully heading steeply to a gap just below Iron Cap Summit. The other way is up the mountain’s north ridge. Both ways are fraught with their own difficulties, and in either case you’re going to have to scramble. On the way, why not cement your blasphemy by hiking to the top of 6347′ summit to shake your fist defiantly at the heavens? 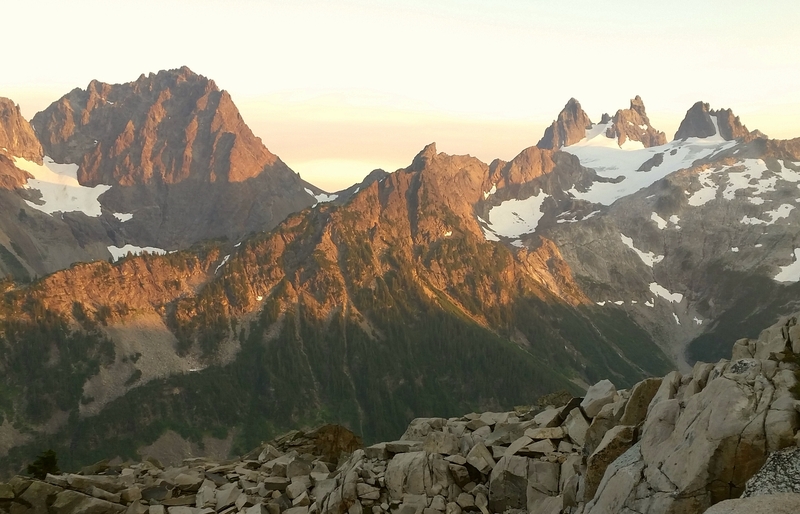 If you are running out of daylight, the north east side of Iron Cap provides terraces of heather and perhaps some snowmelt for high country cookin’. Probably don’t wanna piss off the wind gods too much if you plan to camp on the ridge. Then again, sometimes a little hubris pays off! Iron Cap’s east face is a jumble of impossible cliffs and disappointment. If you are anywhere near the summit, you’re up too high. Bring jerky to distract the Balrog. The correct way is narrow, but not “5 inch wide cliff band, OMFG we’re all going to die” narrow. PROTIP: The Iron Cap Balrog is immune to fire based damage and dark magic but is weak to jerky. 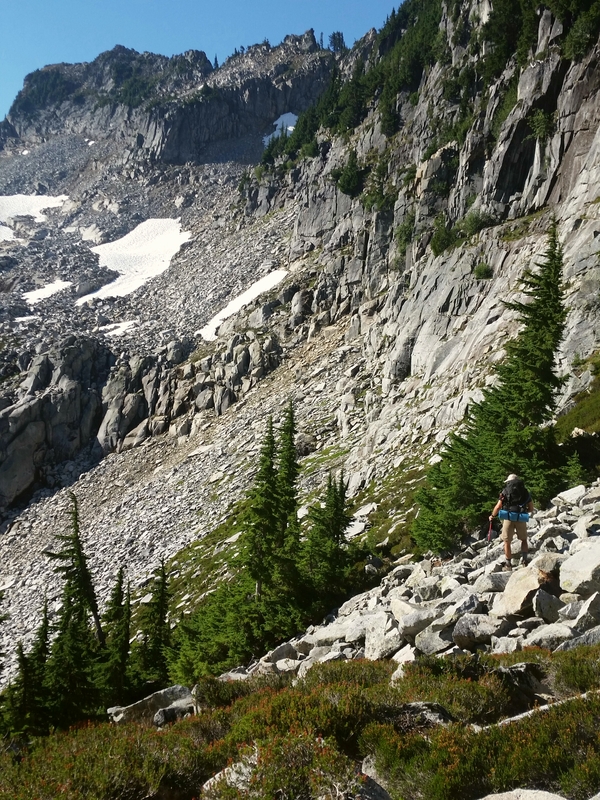 You’ll drop through some tight, gnarled conifers before breaking out to the comparable ease of talus and then to a large outcrop from which to survey your coming route. From here it’s up to you to find your way over to the low ridge connecting Iron Cap and the westerly terraces of the Necklace High Grounds. 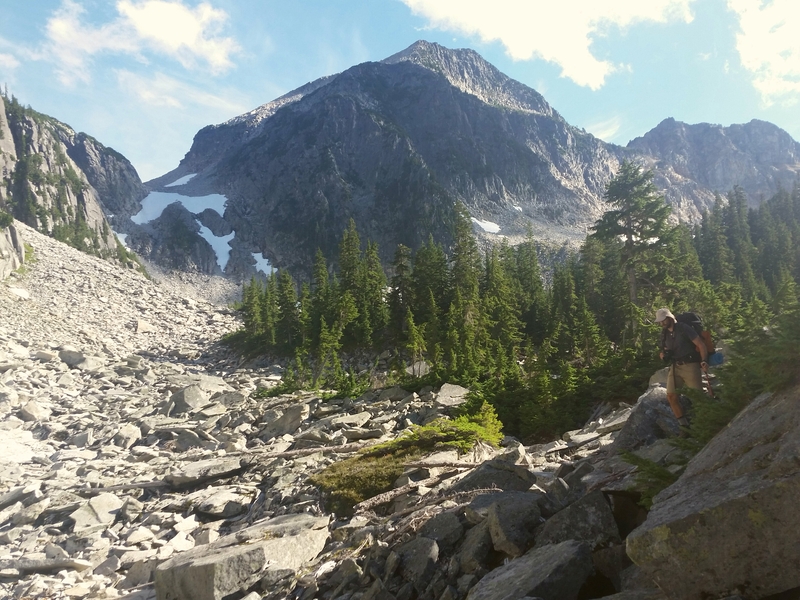 Traverse across talus and slab, into troughs and up small cliffs. 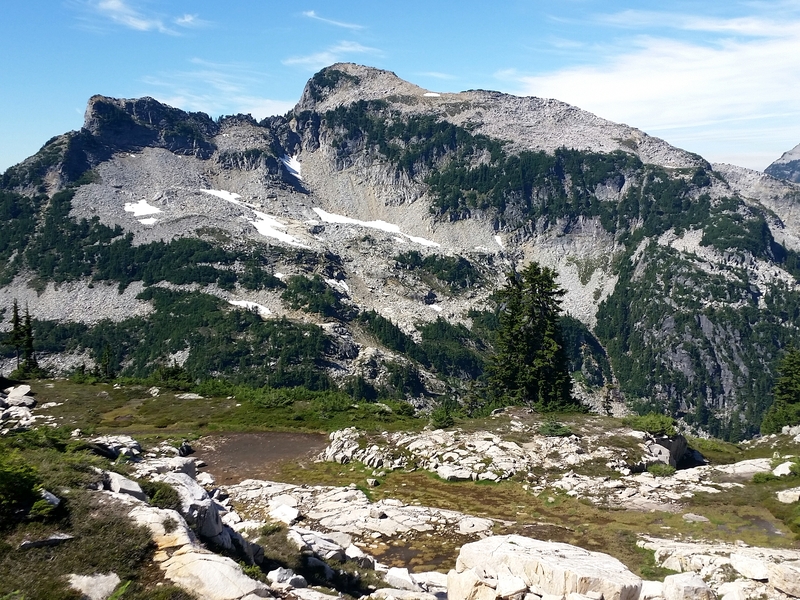 This is prime high country, bursting with world class views, and it’s all yours! An experienced backcountry wanderer should have little trouble stumbling upon a subtle yet established boot path along the low connecting ridge. 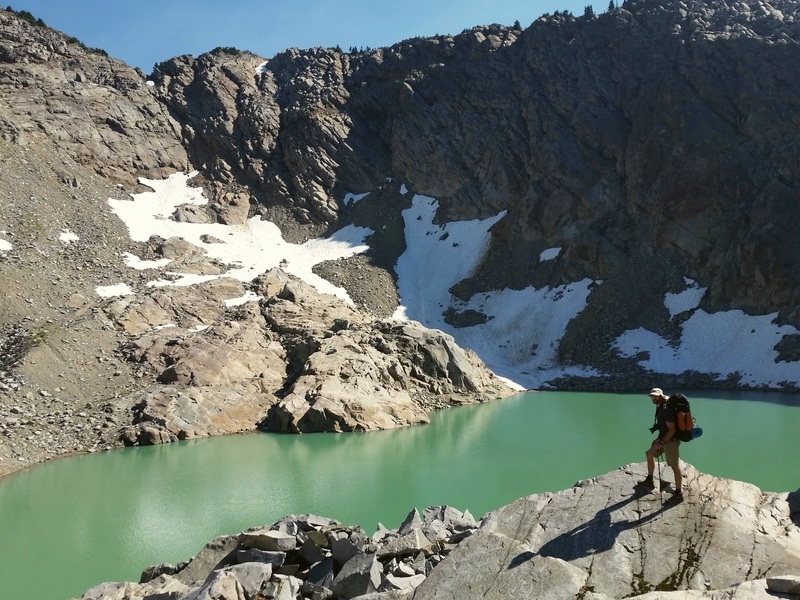 If not, just aim yourself towards the Tank Lakes and avoid unnecessary climbing and you oughta do alright. With any luck you’ll find the boot path and it’ll help weave you between this last stretch of obstacles. If not, staying south will be easier topography. Once on top you are free to wander the beautiful desolation that is the Necklace Valley High Grounds. There is a lot of roaming to be done around here and it’s not a bad place to spend one last night before jumping back on more traveled trail. When your wanderlust has been satiated or civilization starts calling… bleh, work. Head towards Foehn Lake, cairns occasionally mark the beaten path. The exit plan however is to make your way to the colossal jumble of stones to the east. This is the moraine of a glacial spectre, the profound relief speaks heavily to listeners about the enigma of geologic time. A boot path leads down this ancient deposit, gradually becoming the Necklace Valley Trail #1062. You ever wonder if it ain’t all just a dream? 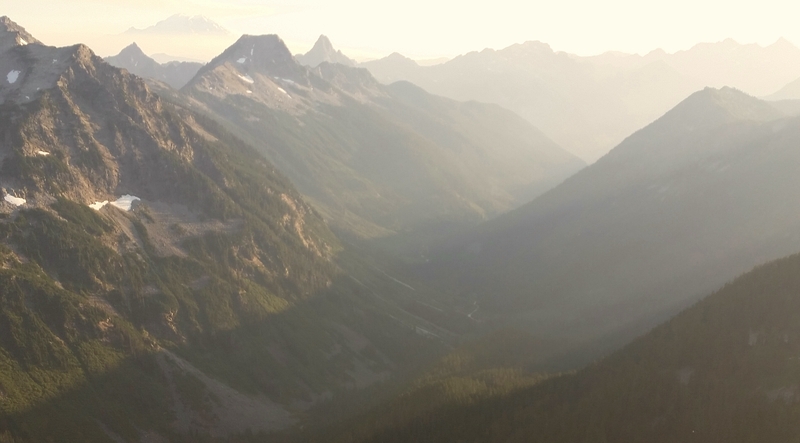 There is a lot of beautiful country to explore along the loop, easily years and years worth of summer weekends. Often it takes a number of attempts to complete this journey, and requires a true mountaineer’s level of commitment, knowledge and skill. 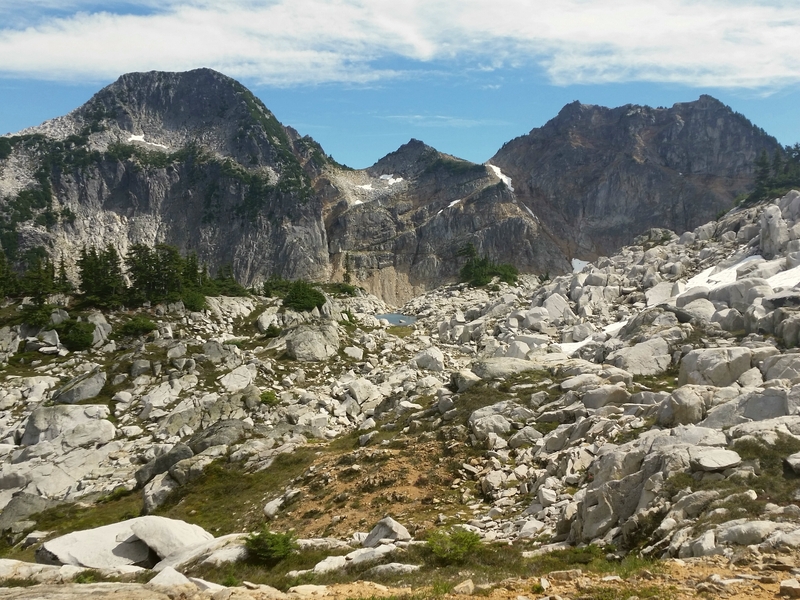 Not solely in the sense of completing the loop, but leaving the loop as you found it, respecting the fine balance of a “wilderness route” in these times of growing visitor pressure and Internet exposure. If you love it, leave it just the way you found it… er, maybe minus a few fish! Mmmm! On my last go round there was garbage at a few sites and even a smoldering campfire deep the wilderness. 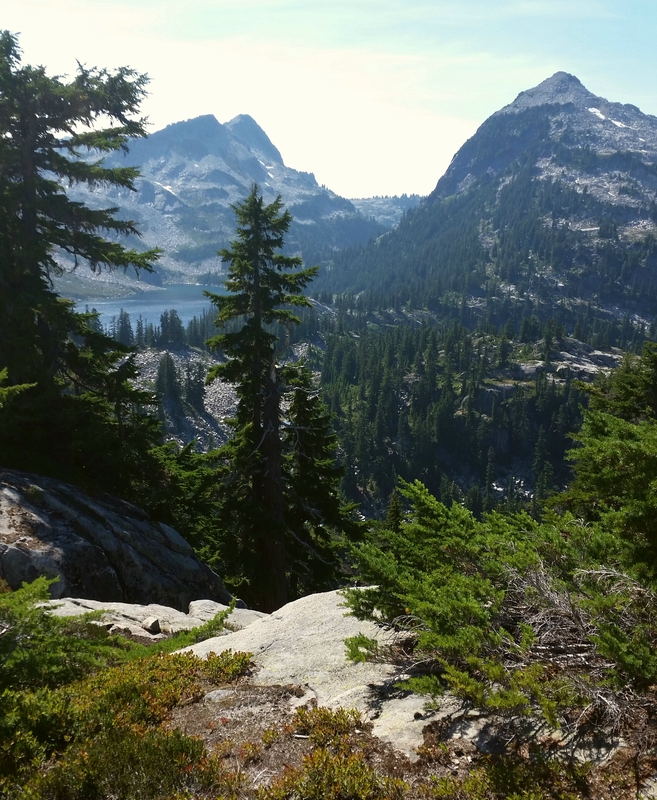 The Alpine Lakes Wilderness requires a self issued backcountry pemit for travel and is subject to a number of rules and regulations. 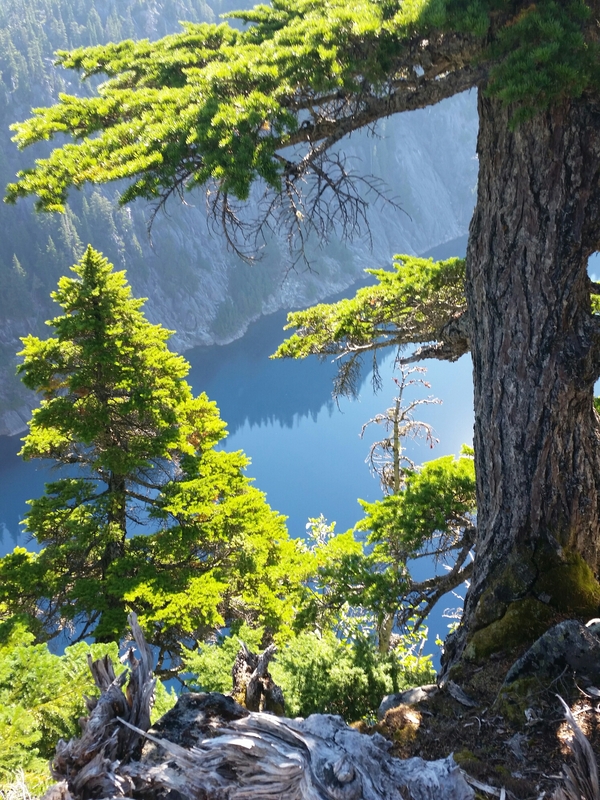 Campfires are prohibited at Trout Lake and any point above 4000′ described on this trip. This includes all lakes. That was one of the funniest reports I’ve ever read. Thanks for the beta.